Click here to visit the Daily Steals site and click the blue get it now button. 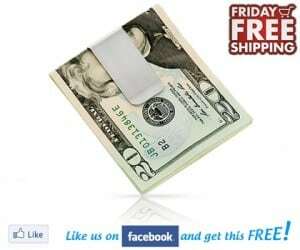 Then just complete the checkout process to request your Free Stainless Steel Money Clip from them. They’re offering free shipping and no credit card is required. Image Credit: Daily Steals ; thanks Paul! Will make a great stocking stuffer. I just registered with them & it told me I couldn’t order because I had ordered my maximum for the day, then went to live chat to ask why & she asked my email address & then never answered why I couldn’t order.